Teachers, digital content and pick pockets. A true story. Over the weekend I had my pocket picked. The very latest Galaxy Note 3 device was lifted from my person as lightly and as unobtrusively as an angel's feather landing on my shoulder. Although the pick pocket is undoubtedly a plain thief I have to secretly admire the skill of “the lift.” I didn’t see or feel a thing. 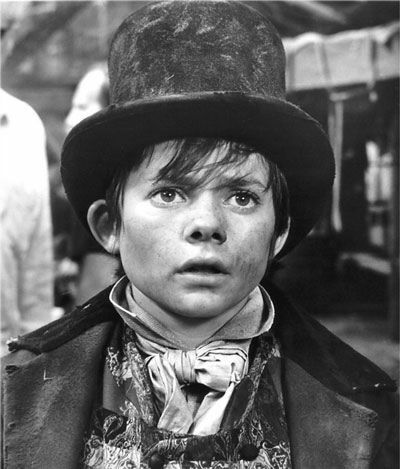 Shades of the artful Dodger in Oliver. One minute I was in multi-media communication with the world and the next I was transported back to the eighties searching around for a pay phone and coins to call home. A rude awakening to the cold turkey that is analogue for a seasoned digital user. Of course the real monetary cost of the theft to me was next to zero. The device was sent by my provider as part of an upgrade and the content was all backed-up on my laptop. But nevertheless, the loss of digital access and content even for a brief period while the device was being replaced was unsettling. Before the advent of digital technology in the classroom, teachers were having the equivalent of their pockets picked every day of school term by presentation equipment that deleted their work at the end of every lesson. Chalk, ink marker boards and flip charts were all wiped clean and the work thereon lost, permanently. No back-up was possible and great lessons which others could have benefitted from were gone forever (although I do know of one forward-thinking maths teacher who used to take Polaroid photos of his board work for future reference!). Can you imagine this happening in another creative profession? Artists having their canvases wiped clean on completion of an artwork or musicians tearing to shreds their very best original compositions? Still today in classrooms with only analogue presentation equipment available, teachers have to stand and watch while the board monitor deletes their bon mots, venn diagrams and linear equations. It’s enough to make a grown man cry. For digitally equipped classrooms in 2014, the software driving interactive boards and the latest HD flat panel displays automatically saves and stores all lesson work so nothing is ever lost and the wheel never needs re-inventing. With the very latest software teachers can create, share, manage, control and publish their good work to a classroom of 20 pupils or to the world at large. Exchanging lesson content created by a teacher in Perth with a fellow teacher in Portsmouth requires no more than a few after-school clicks of a mouse while inventive teachers looking for inspiration can access new and exciting lesson content and material usually for free or, at the most, the price of a double shot cappuccino. It’s a revolution and teachers and their pupils all around the world benefit enormously from the availability of digital access. So to pick pockets everywhere I say, you may steal our hardware but our digital content remains our own and as secure as the vaults of the Bank of England. Usque ad finem!